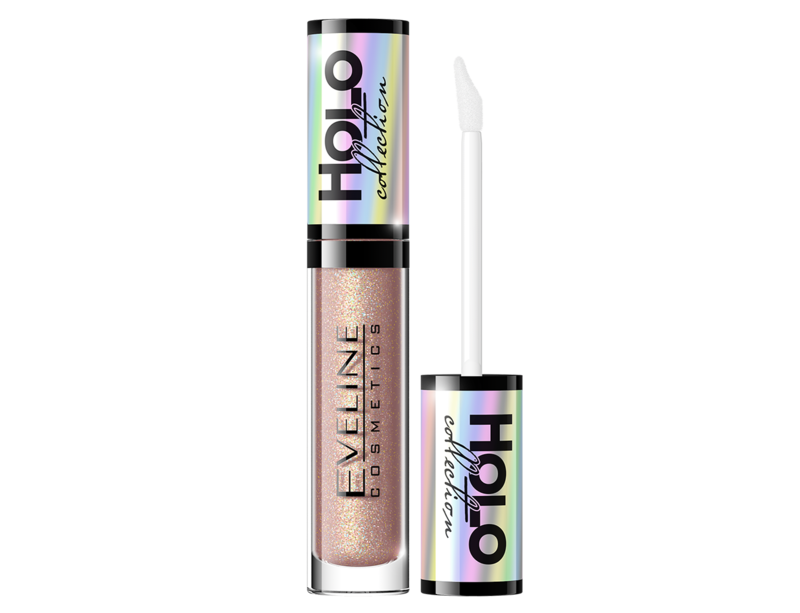 New, holographic lip gloss by EVELINE shimmers with different colours, depending on the angle of light. 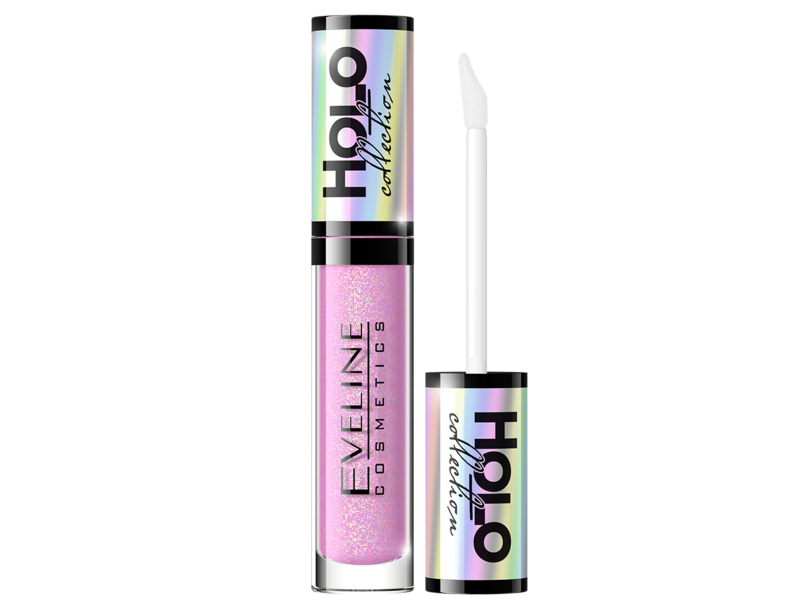 Each of the colours is exceptionally shiny and guarantees trendy, holographic lip make-up. 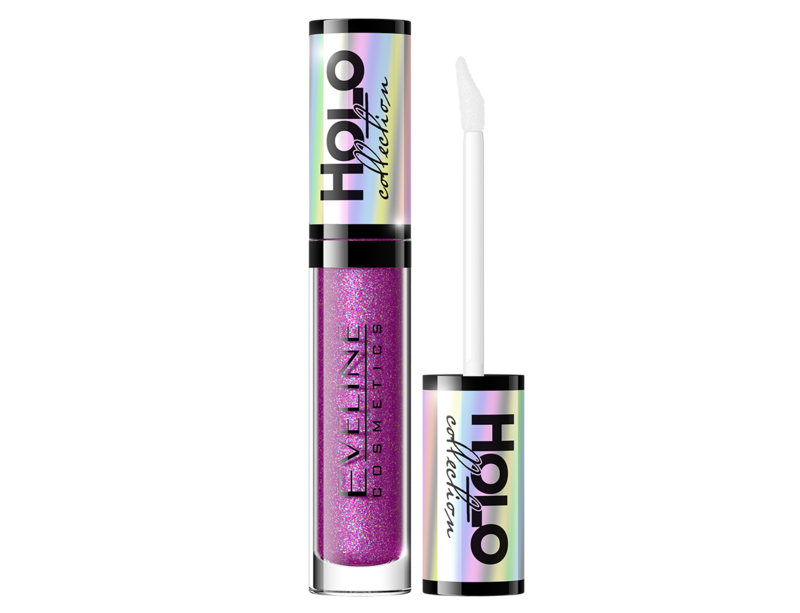 New holographic lip glosses make the lips shine and look like from another galaxy! The way of application of the lip gloss onto the lips depends on the preferences - apply it both on the lipsticks, adding the unique character to the entirety, or use independently.